Anytime you are dealing with electrical issues around your Chelsea home or business, you want to be sure that the team of professionals you contact to help you resolve the issue have a proven history of delivering fast and accurate service, all at a fair price, and here at Advanced Electric Company, LLC, that is exactly what you'll find. For over 35 years now, we have been the Chelsea electricians of choice for local home and business owners alike who are looking for the absolute best in quality electrical services and repairs. We offer a wide range of comprehensive services to suit just about every need, whether you are just looking for minor tune up work, or you are looking to completely rewire your home or business property. Don't settle for less than the best when it comes to your next electrical service. Give our team of professionals a call today and let us show you the difference quality can make. Here at Advanced Electric Company, LLC, each and every one of our skilled Chelsea electricians are fully licensed, trained, and experienced in the field, and no matter how simple or complex your service needs might be, our team of experienced professionals will provide you with the long lasting, quality results you need to rest easily and comfortably in your home. If you have any questions about our full line of high quality electrical services, or if you would like to schedule an appointment for your service with one of our Chelsea professionals, give us a call today. Our team of experts are always standing by and would be more than happy to assist you in any way we can. One of the most important things you can do for your Chelsea home is to invest in an electrical safety inspection at least once every year performed by a trained professional. Electrical safety inspections are absolutely essential when it comes to gaining insight into the workings of your electrical system and getting to the bottom of any small issues before they have the chance to get any worse. 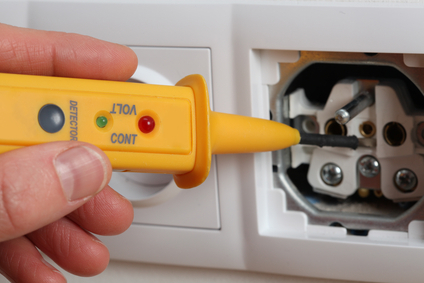 With an electrical safety inspection from our professional Chelsea electricians, you can rest assured that any and all issues within your system will be caught and corrected before they can pose a threat to you or your family's safety, letting you all sleep a bit easier and rest more comfortable in your home.